High frequency vibrations distributed evenly across entire aluminum screed length to produce smooth, uniform surfaces quickly and easily. 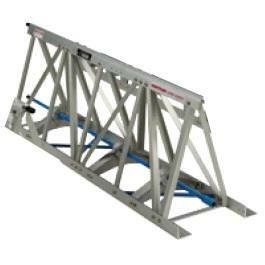 Super truss screed is 19.5 tall and can span 80 . Can consolidate less than 2 slump. Up to 12 in depth. Morrison truss screed vibrates at over 12,000 vpm. Aluminum truss screed weighs only 9lbs / ft. compared to steel screed at up to 20lbs. Light weight makes our screed suitable for use on any type or form. * Please call us for any questions on our truss screed 10 foot sub section rentals in Fort Madison IA, serving Southeastern Iowa and Western Illinois.